Company demonstrates ongoing commitment to Louisville community. Manufacturing workforce remains among top priorities. Donation will fund a new Manufacturing Workforce Pipeline Development Accelerator to be housed in Greater Louisville chapter of Kentucky FAME. LOUISVILLE, Ky.—June 6, 2016— To commemorate the successful acquisition of GE Appliances and as a sign of its commitment to the Louisville community, Qingdao Haier, the new parent company of GE Appliances, announced today it will donate $100,000 to a program that helps people prepare for careers in manufacturing, a critical need for local manufacturers. The donation will help fund a program manager position for a new Manufacturing Workforce Pipeline Development Accelerator, which will help increase the number of entry-level, single-skilled and mid-skilled workers entering the manufacturing field. The Accelerator will be part of the Greater Louisville Chapter of the Kentucky Federation for Advanced Manufacturing Education (GL KYFAME), a non-profit group established in 2014 to increase the pipeline of mid-skilled manufacturing workers through its Advanced Manufacturing Technician (AMT) two-year, work-and-learn program. This experienced program manager will accelerate the growth of GL KYFAME’s AMT program – as well as advance a variety of initiatives underway to grow the number of prepared manufacturing workers. Since 2010, GE Appliances has added some 3,000 manufacturing jobs and invested $1 billion in its Louisville operations. Haier, a global consumer electronics company and the world’s number one major appliances brand, will build upon GE Appliances’ deep community relationships, service through volunteerism, charitable donations, and longstanding commitment to manufacturing workforce development. GE Appliances participates in the Bluegrass Economic Advancement Movement (BEAM), a Louisville-Lexington partnership implementing a regional economic development strategy for manufacturing and innovation. GE Appliances hosts the first-ever convening of local manufacturers at the Manufacturing Workforce Development Summit to address the critical need for mid-skilled workers, which leads to the publication of A Blueprint for Bridging the Industrial Skills Gap. GE Appliances becomes an inaugural member of GL KYFAME. 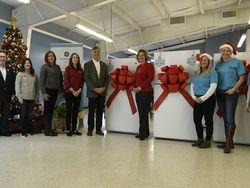 GE Appliances, along with Amatrol and Technical Training Aids, make a donation of nearly $150,000 in equipment, curriculum and training to the Bullitt County Area Technology Center and Jeffersontown High School. GE Appliances hosts a second Summit of area manufacturers, representatives of educational institutions, government agencies and NGOs to collaborate on a plan to address the scarcity of work-ready, entry-level workers. GE Appliances donates $20,000 to help fund the Manufacturing Engineering Technology Technician program at Doss High School. 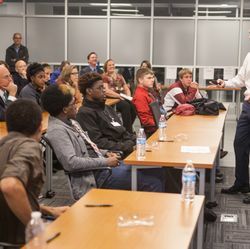 GE Appliances and Summit participants release The Community Playbook for Greater Louisville Manufacturing Workforce Development outlining a plan to address the shortage of entry-level workers. Haier, new parent company of GE Appliances, donates $100,000 to fund a new Manufacturing Workforce Pipeline Development Accelerator, which will be housed within GL KYFAME. GL KYFAME’s AMT students work three days a week at the manufacturing facility of a sponsoring employer and attend classes two days a week at Jefferson Community and Technical College (JCTC). Successful students earn an applied associates degree in Advanced Manufacturing Technology (AMT) in two years, graduating with little to no debt. The inaugural class of 11 students began the program in August 2015. 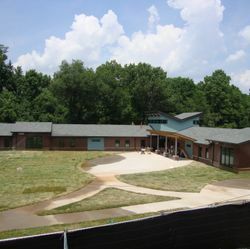 This fall, the program hopes to have 30 or more students. Learn more about the KYFAME program at kyfame.com or kyfameGL.com. GE Appliances, a Haier company, makes moments that matter for our owners through our passion for making great appliances and providing unparalleled services. We make with our hands, heads and hearts. We make with integrity, inventiveness and ingenuity. For more than 125 years, we have been creating a legacy of invention – we’ve electrified and modernized life, bringing convenience and fun to kitchens. GE Appliances’ products include refrigerators, freezers, cooking products, dishwashers, washers, dryers, air conditioners, water filtration systems and water heaters. For more information on GE Appliances, visit www.geappliances.com.